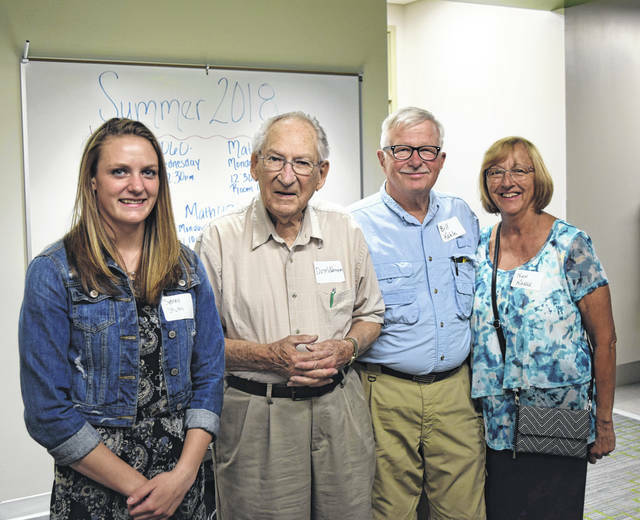 BUCYRUS – The Community Foundation for Crawford County and the Crawford Success Center of North Central State College (NCSC) recently collaborated on an evening to celebrate education and student achievement. 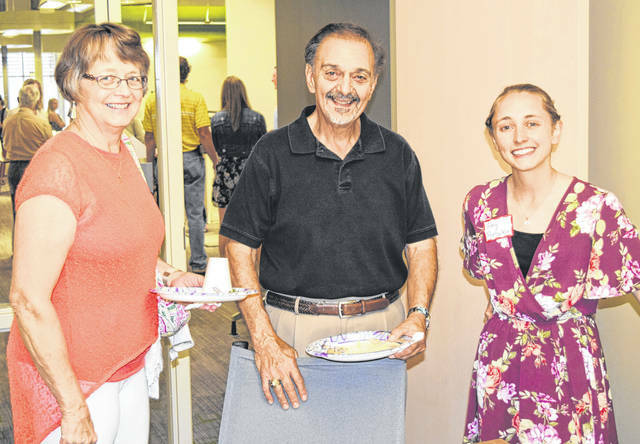 Opening comments were made by Lisa Workman, president of the Community Foundation for Crawford County, Dr. Dorey Diab, President of NCSC, and Amanda Sheets, Operations Manager of the Crawford Success Center to a crowd of about 70 who gathered last Thursday evening at the Crawford Success Center. 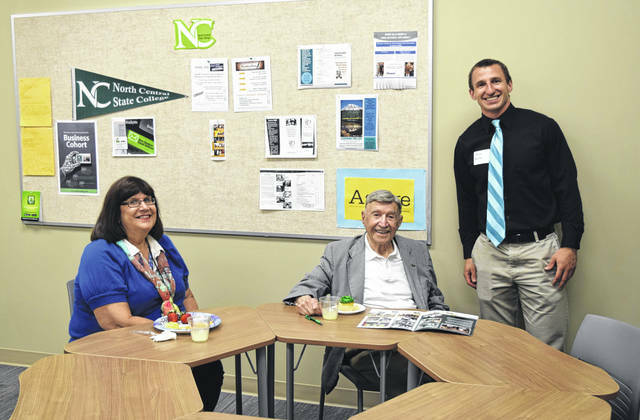 Those who attended learned that the educational attainment level in Crawford County has increased by 2 percent in the last three years, and that many scholarships that are available are no longer just for graduating high school seniors. Throughout the evening, scholarship recipients and those who donated to start scholarships had the opportunity to meet each other, express gratitude, and share stories. Even some former scholarship recipients who could not attend the event still contributed to the night’s activities. Haley (Kocher) Fannin, a 2016 winner of the Samuel Neff Fellowship for International Study Scholarship, sent a power point presentation from her study abroad trip to Brazil.